This statistic gives information on the most influential and active world leaders and foreign offices on social media as of May 2018, ranked by mutual Twitter connections. 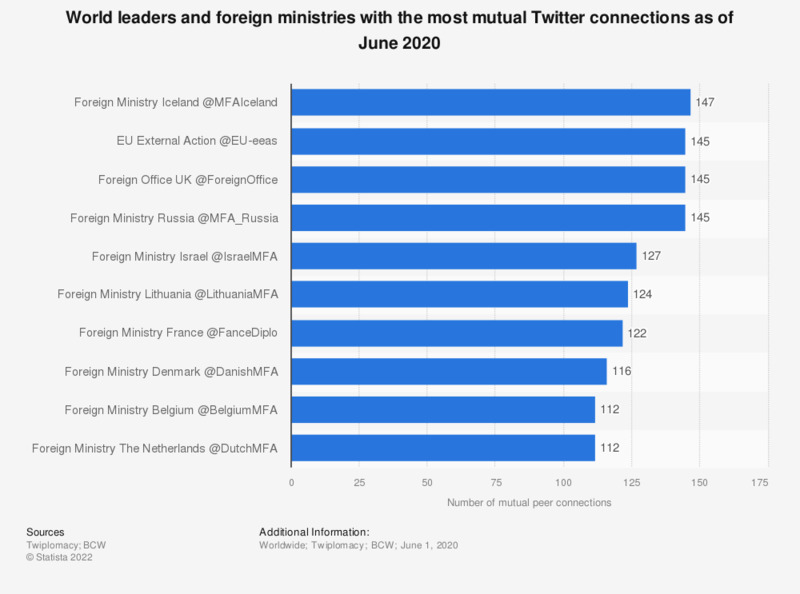 The EU External Action Service was ranked first, having 132 mutual connections with other world leaders and foreign ministries on Twitter. The source identified 951 Twitter accounts of heads of state and government, foreign ministers and their institutions in 187 countries worldwide. The study analyses each leader’s Twitter profiles, tweet history and their connections with each other. How much do you trust politicians?